A lovely Saturday in early September. It’s raining — has been off and on all night. Rain is the biggest blessing of them all. Others? 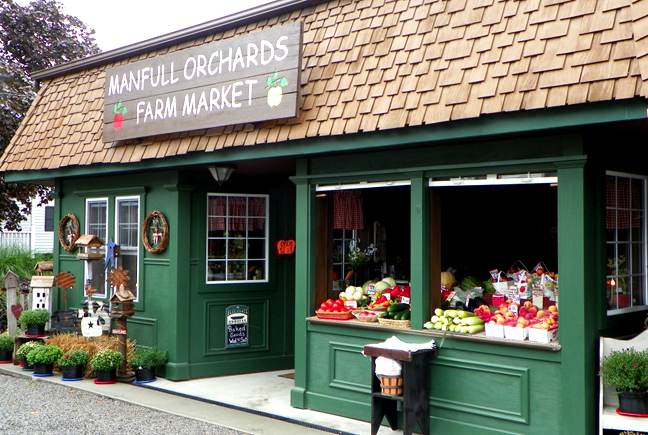 Fresh apple cider … juicy, ripe tomatoes … crisp and sweet, juicy and tart apples … mums … and soon, pumpkins. Getcha some! The best cider! Period! Oh and your sister’s caramel/chocolate apples are a must also.. will soon be traversing route 9 to stock up! Uh oh I better get some apples made! So glad you like them! What a lovely market. I am so ready for fall this year and ready for all the fall traditions! Hey! My mother in law took that picture! Love the market, just don’t seem to get thru Augusta when they’re open. Cider sounds good!